If You Can’t Easily See, Manage, and Improve Them, Are You Delivering Them Correctly? ‘Them,’ in this case, refers to your mission-critical applications—the lifeblood of your enterprise. We know how important applications are to everyday business. If apps don’t perform, employees can’t work, customers can’t complete transactions, products don’t get shipped on time, and business grinds to a halt. Unfortunately, the nature of today’s hybrid enterprise makes it increasingly difficult to securely and effectively deliver applications. In fact, 51% of organizations say application complex ity is their primary challenge1. Why is application delivery so difficult nowadays? When supporting an increasingly mobile and remote user base, it’s not always feasible to serve applications and data across the corporate network from a centralized location. Due to latency and inadequate network connectivity at the edge, IT is often forced to manage apps locally at regional or remote locations. The tradeoffs here, however, are prohibitive costs and increased risk for downtime and data loss. RightScale’s 2015 State of the Cloud Survey reports that 93% of organizations are using the cloud. But keep in mind that enterprise customers often have little knowledge about the inner-workings of the infrastructure that support cloud apps and services. With this loss of control and visibility, it becomes difficult to pinpoint the source of a performance problem. It could be the user’s computer, the Internet link, or the cloud vendor’s own infrastructure. And research shows that user-impacting issues are pervasive in the cloud, as 70% of large enterprises experienced performance problems in private cloud deployments, and 55% reported similar issues with public cloud services4. In today’s hybrid networks, traditional private MPLS links are being paired with the more cost-effective public Internet. As of 2013, more than 50% of companies were leveraging Internet connections in place of a traditional WAN link in at least one location5. Of course, leveraging the Internet introduces other concerns for IT leaders. The possibilities of poor performance, loss of some quality of service, and security issues are often cited as reasons for concern when enterprise traffic is sent over the Internet. The real challenge here is defining what traffic goes on which network. Setting up policy-based routing can be an administrative nightmare. That, and managing the varying network paths between users and their data makes it even more difficult to deliver applications without eating up network resources or budget. Hybrid environments are essential for businesses to remain agile and competitive today. Unfortunately, they introduce more challenges for IT when securing the infrastructure. Whether it’s loss of visibility and control associated with Shadow IT or BYOD, vulnerability of data stored in far-flung locations, or the constant fear of cyber attacks, IT must be able to protect users, applications, and data. However, security frameworks often hinder application performance—or even application availability—which can frustrate end users. Application, infrastructure, and network teams often have their own sets of tools to manage their domains. According to Forrester, 64% of companies continue to leverage a fragmented approach when managing applications6. The problem with these siloed tools is that each solution offers only a partial view of the infrastructure that supports the application. In many cases, the tools report that everything is A-OK, when in reality, users still experience issues. So the use of disparate technologies adds to the complexity of performance management. If current approaches are so error prone, tedious, and costly, there has to be a better way, right? There is, and it’s what we at Riverbed call application performance infrastructure. Application performance infrastructure is a composition of interoperable solutions, tightly integrated to serve one vital business purpose—to bring some predictability and reliability to application delivery and performance. We like to break this infrastructure down into the three previously mentioned components—visibility, optimization, and control. 1. Visibility: Know which applications are running, how they’re performing, and troubleshoot and resolve issues before end users notice or the business is impacted. 2. 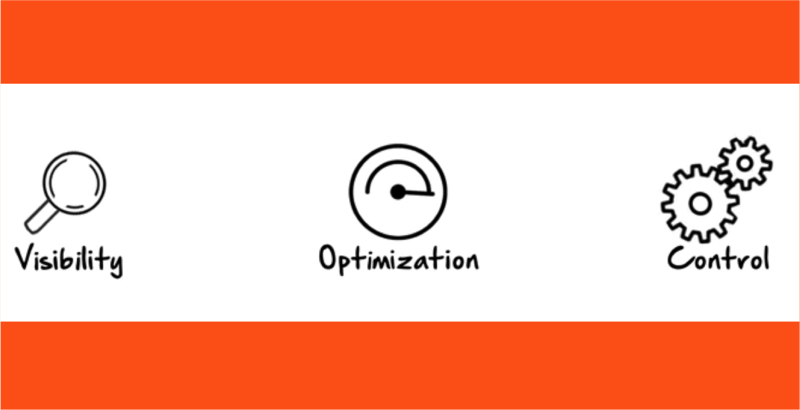 Optimization: Latency and bandwidth are no longer business constraints with application optimization—on-premises, cloud, or SaaS—for maximum performance and the best experience for all users. 3. Control: Simplify hybrid IT operations, secure all data and applications, and regulate how network resources are consumed through business-intent policies that provide intelligent control over application performance. Learn more about how the hybrid IT era is driving the need for application performance infrastructure by downloading the analyst paper from ZK Research. And as you evaluate ways to take better control of application performance, keep us in the loop. As The Application Performance Company™, we deliver the most complete platform that empowers organizations to allow business objectives—not technical constraints—drive how applications and data are delivered.